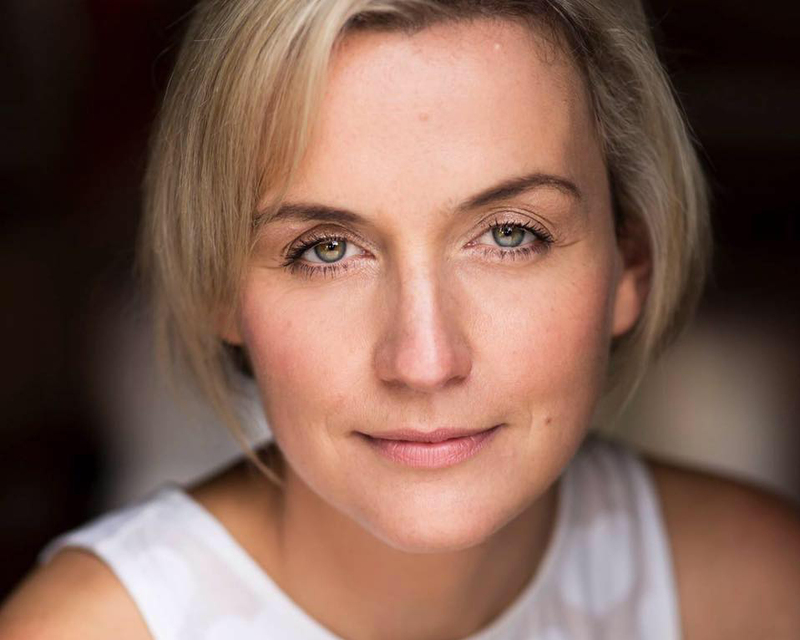 The appointment of Charlotte Nightingale sees the company move into a new phase, to explore different genres and to develop and grow a younger audience and performers. Combining her background and experience in dance and teaching in the UK, and using the skills, knowledge and resources of Touch Compass to inspire a new generation of dancers makes for an exciting time for Charlotte and Touch Compass. What is your background in Dance? I started dancing at three and was hooked. Ballet was my thing, but at the time you had to be under a certain height to go to the Royal Ballet School so disappointingly a career in Ballet was not for me! However, I continued to dance, changed my career path to acting and musical theatre and during my training I found my love of contemporary dance. I studied Graham and Cunningham under Christopher Bannerman who was Principal Dancer at London Contemporary Dance for several years. What’s your background in inclusive performance? In my late 20s I trained as a teacher in the UK. I worked in a culturally diverse school and we had a large number of students with different abilities. I found that students that struggled in core subjects often excelled in drama or dance. Because these students were failing the core subjects they were often written off, and because of those different cognitive or physical abilities they weren’t given the opportunities that a non-disabled person might have been given. When my son Gabriel was born he was diagnosed with a chromosome disorder; I looked at what was out there for him and being an arts practitioner, the arts were my first port of call. I saw first-hand the enormous benefit that the arts had on his development and well-being and from then on, I made it my mission to promote inclusive practices in the arts. Regarding disability and the arts; how does it differ in New Zealand from your experience in the UK? organisations and hope to bring some of their practices to Aotearoa. What are some initiatives you’d like to see in New Zealand? I would like to see accessible performance as a must have for all arts organisations supported by Creative New Zealand; relaxed performance, audio described or sign interpreted performance or a touch tour. In doing so, this lays the foundation for equal access to the arts. Providing training to arts organisations to enable them to deliver their own accessible performances is critical, and I want organisations to consider casting more performers with disabilities and festival directors to consider programming work that has performers of all abilities in them. At a grass roots level, I would love inclusive performance to be part of the curriculum, working with the learning needs units in schools and looking at how they can integrate these students into workshops with their non-disabled peers. What has been your focus since joining Touch Compass? This year our primary focus has been on fostering new talent. We are committed to developing and inspiring young people with different abilities to dance. Historically we have been a contemporary dance company but we are now diversifying and delivering workshops in hip hop, musical theatre, and drama and theatre. To achieve this, we need to go to the talent and show them what is possible and show that the skills they have can transfer to contemporary dance. How important is it for Touch Compass to exist and develop new work? It is important that we, as arts practitioners, make work that reflects the society we live in; that audience members can see a bit of themselves in what we do and can connect to it. If all we see are non-disabled performers then I believe we simply can’t connect; that’s not how life is and that’s not how art should be reflected. The more we see performers with different abilities on stage and screen, the further we move towards creating a society where everyone is valued as equal. I love that this world is a melting pot of difference, it’s so cool so let’s celebrate it. Touch Compass must always push to develop new inclusive work and encourage others to follow suit. As a mother of a child with a disability, as an advocate for performers with disabilities and as an arts practitioner, our work needs to be out there not just in public spaces but in galleries, theatres, in cinemas; that’s how we create change. How do you see the role that Touch Compass can play in changing people’s attitudes towards what’s normal or what people are capable of? We play a really important role; Touch Compass can offer a huge insight into all aspects of accessibility in performance. We actively seek out different perspectives of disability. Having key individuals in our organisation with lived experience means that we have the capacity to talk to practitioners about working inclusively and influence them to change how they work. As an organisation with a long history, how hard is it to evolve and remain relevant? In order to survive we need to be continually asking “what are the needs and wants of our communities?” and for them to see art that reflects themselves and their lives. Collaborating is a must and influencing others to consider all abilities in their work. We must make work that spans generations, has longevity, is timeless, raw, new and has universal appeal. Can you highlight some of the amazing talent you are working with at the moment? Harper Heta is the next big thing; she’s 10 years old and has a raw talent that is rare and from the moment we met her, we knew she was a game changer. JDK are a fantastic hip hop crew from Wellington that we are mentoring and we have some really exciting opportunities on the horizon for them including working alongside their awesome talents to present their show at TEMPO. Chloe Loftus, an aerial choreographer from the UK, has been creating a new work with Rodney Bell, our principal dancer, that we are hoping to tour later this year. It is great to see some of our community class performers make the leap from community to professional and Sophie Wills is one to look out for in the future. What can we expect to see in the near future from Touch Compass? would be great if we could do this Anton and hopefully it will be in our lifetime. Original generation time 1.3835 seconds.